Ribbed metal roofing is in the same family as Corrugated metal roofing. It is made in a similar fashion (at a metal mill), attached to the roof in the same way, and installation costs are about the same. The key difference is in the appearance. 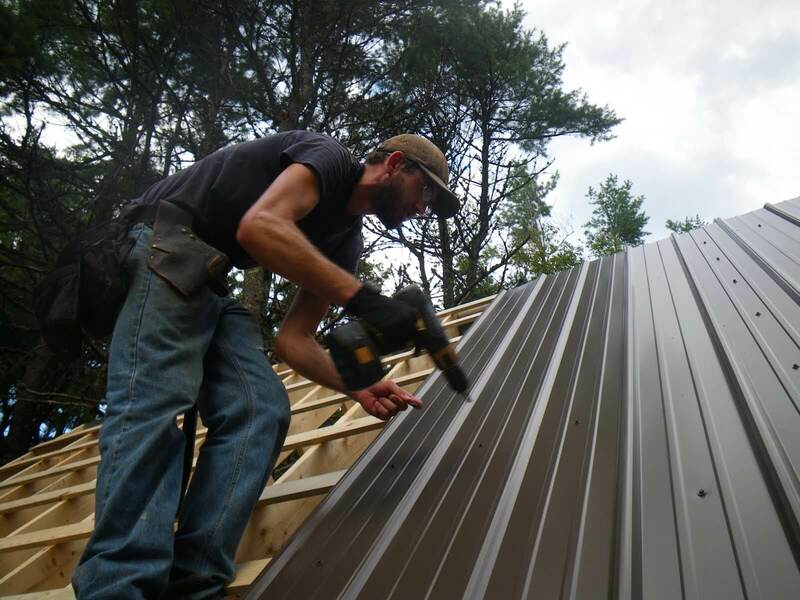 Ribbed metal can be mistaken for Standing Seam, which is on the upper echelon of metal roofing. Based on the price of materials alone, Ribbed metal paneling is certainly in the same ball park as Corrugated metal paneling. The pricing does depend a bit on who you are purchasing the materials from, but a price range of $1.00 to $3.00 per linear foot is what you’ll routinely find. — This assumes you are going with a coated steel (i.e. galvanized or Galvalume), stainless steel or aluminum product. Then add a minimum of $2.50 to $4.00 per sq. ft. for professional installation, and you’ll get a base rate of $4.00 to $7.00 per sq. ft. of ribbed metal paneling installed. Note: Labor costs may be higher than $3 per sq. ft. Total cost ought to be below $7.00 to $9 per sq. ft. installed, which means the cost of warrantied labor could go as high as $4.00 to $6.00 per sq. ft., in some cases. Why would installation costs ever be that much higher higher? Well location is part of it, along with complexity of your roof, slope, or pitch, of the roof, and amount of custom metal flashing required for the job. If your existing roof is to be torn off and disposed of, that would be a separate line item cost. Same goes with possible repairs to the roof. The good news is that Ribbed metal roofing can be installed over the existing roof. For an average sized roof (say 1,600 sq.ft. ), the total installation cost is likely to fall within $5,500 to $9,000. A very large roof, say 3,000 sq. ft. would then be double, right? Not necessarily. If it is a non-complex roof, it could be significantly less than double as the more product you order and the more work being provided to the contractor, the less of an overall charge per sq. ft. the project could result in. ROI: With all metal roofing, the return (value to cost) on your investment will be excellent. It starts at around 86% and, again, depending on your location may be higher. This means that if you were to spend say $10,000 for a ribbed metal roof and sell your home while the roof is still in great condition, you can plan to recoup $8,600 of that value just from this part of your home. Residential homes along the east coast of the U.S. tend to fetch better than 86% ROI.